Creating some of the top-selling nail lacquers takes creativity and imagination. When it comes to nail color, I begin working on shades over a year in advance. I reference trend books out of Milan and Paris for inspiration each season. These books present ideas, predicting what consumers will be looking for in the future in every industry that uses color—from cosmetics and furniture to clothing and accessories. It’s up to me to translate those trends for OPI. In both beauty and fashion, colors, textures, and patterns often align. I also travel regularly and draw inspiration from cities around the world. From people on the streets, food, music, fashion—everything that’s relevant to our global culture can generate new ideas and serve as an inspiration. Over the years, I’ve brought shoes, fabric swatches, photographs, and all kinds of souvenirs back to my lab in Los Angeles. Along with my vivid memories, I’ll rely on these items when testing different colors. I love when a destination collection really captures the emotions I felt while traveling. It’s exciting to share my experience with women around the world. Once I’ve decided on the color palette, I head to the lab, where I begin mixing pigments and testing colors to find the perfect new shade. I then test the colors on people of all different ages, men, and women, with all different skin tones. I don’t think people realize that one lacquer might take months to develop. Sometimes I will create a dozen variations of one shade to get the perfect tone. Tiny changes can give a color an unexpected twist. One good example is You Don’t Know Jacques!. I spent a very long time developing this shade; at the time, greige (grey and beige) didn’t exist. When the shade first launched, not everyone thought it would be a success, but it quickly became one of OPI’s bestsellers. Another great example is I’m Not Really a Waitress, the nail lacquer after which my new book is named. Red and deep burgundies already take longer to perfect, and I was seeking a color to match every skin tone, which of course added time to the whole process. I achieved this by adding shimmer, which brings to the hue a light-reflecting property that makes the color more adaptable to various skin tones. At the time it was launched, adding micas to create that glittery effect was something new and unique. 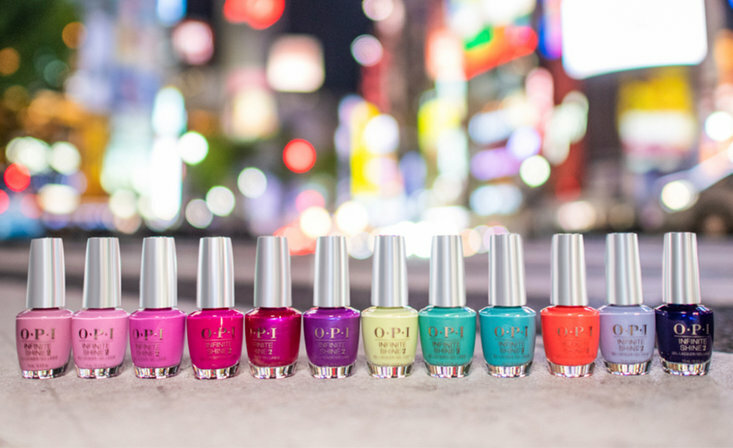 For more fun stories about OPI’s bestselling shades, check out I’m Not Really a Waitress: How One Woman Took Over the Beauty Industry One Color at a Time.